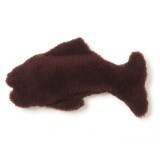 Targhee Trout may be a fish out of water, but isn't afraid of getting wet - wash and dry this fun dog toy. 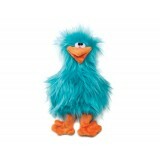 With a long-lasting, attention holding squeaker, recycled polyfill and.. Floppy, flat and fabulous, the stuffing-free Floppy Quack dog toy is designed for dogs that have a tendency to love traditional plush toys to pieces. 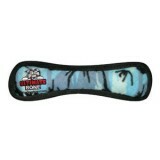 Great for pouncing, shaking.. 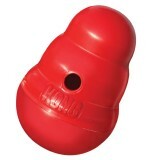 The KONG-shaped Wobbler is an action-packed treat and food dispensing toy. 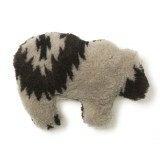 It sits upright until pushed by a dog’s paw or nose and then periodically dispenses tasty rewards as..
Gallatin Grizzly is a classic dog toy that will bring your dog back to his wild roots. Our specially formulated Berber fabric features a poly-knit backing that interlocks fibers.. 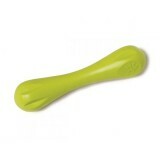 Floppy, fun and full of … nothing but a squeaker! 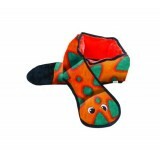 Our stuffing-free, squeaky dog toy, Floppy Giraffe is perfect for dogs who like to take a walk on the wild side with their an..
A wonderful toy for those dogs that like to play tug or whip their toys back and forth. 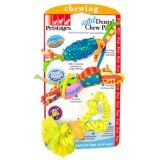 This toy will entertain one or multiple dogs for hours! -- soft edges won't hurt gums. 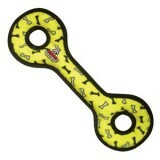 Gr..
Great for interactive play with one or multiple dogs. 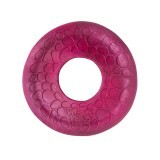 It can be used as a Frisbee or a tug toy on land or in the water. Great for flyball training, soft edges won't ..
Trio of toys to help enhance dental health Mini ORKA Pine Cone: Stands up to tough chewing Textures massage gums du.. 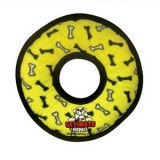 The Dash® frisbee for dogs has an aerodynamic design making it easy for humans to throw and fun for dogs to fetch. Its center hole allows for smooth, off the ground pickups, a ..
Tough and long lasting, Use interactively with one or multiple dogs. 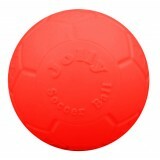 It can be used as a Frisbee or a tug toy. 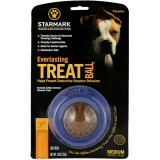 Great for flyball training -- soft edges won't hurt gums. 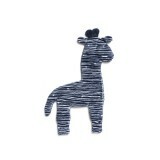 Gr..
MADE IN THE USA! Perfect for dogs of all sizes! 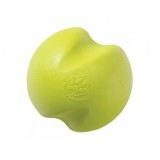 This dog proof soccer ball lets you keep your eyes on the real goal – having fun with your pup! Made.. 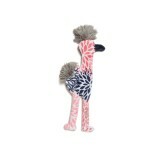 This fabric dog toy screams play time with its quirky grin and bright bold colors. The bright bold colors will be easy to spot under the sofa or in the yard. When you hear this .. Mighty Balls contain NO white poly stuffing! They Squeak and Float!! 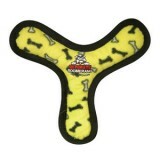 Tuff Scale: 10 For Dogs: Over 20 lbs ..
Tough and long lasting, Use interactively with one or multiple dogs. 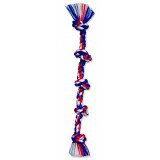 It can be used to play Fetch or a Tug toy. 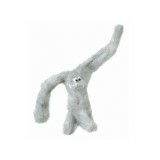 Great toy to entertain multiple dogs for hours -- soft ..
Long, "shake-me" arms and legs will delight your dog for hours of play. 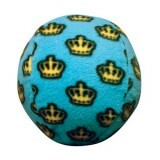 This fun fabric dog toy is filled with recycled polyfill and two lasting squeakers so your pooch can fetc..
A fun chewing challenge for your dog—the Everlasting Treat Ball holds two Everlasting Treats and can be filled with small treats or kibble. Holds a Vari.. Displaying 121 to 144 of 149 products.